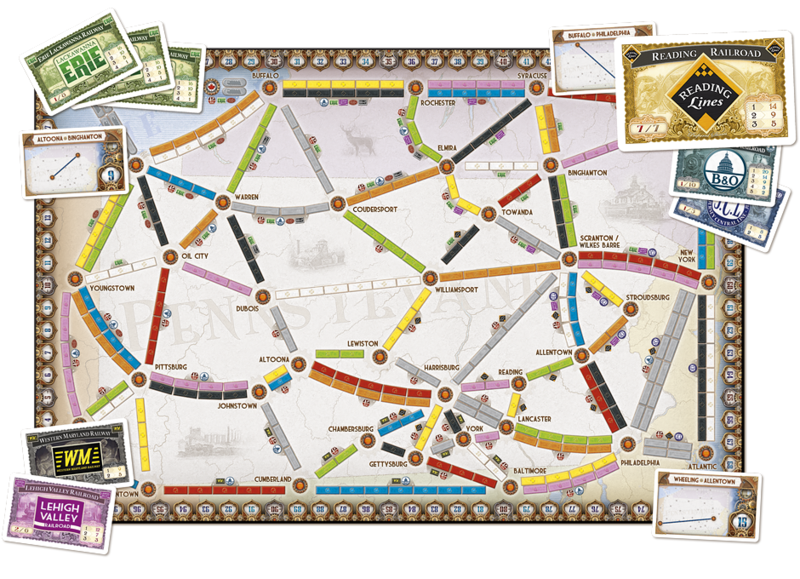 "Ticket to Ride Pennsylvania is perhaps the simplest expansion of all in terms of the additional rules, but adds a lot to the strategic choices of what routes to build and when to build them. Don’t be surprised to see this mechanic or something close to it in future expansions. 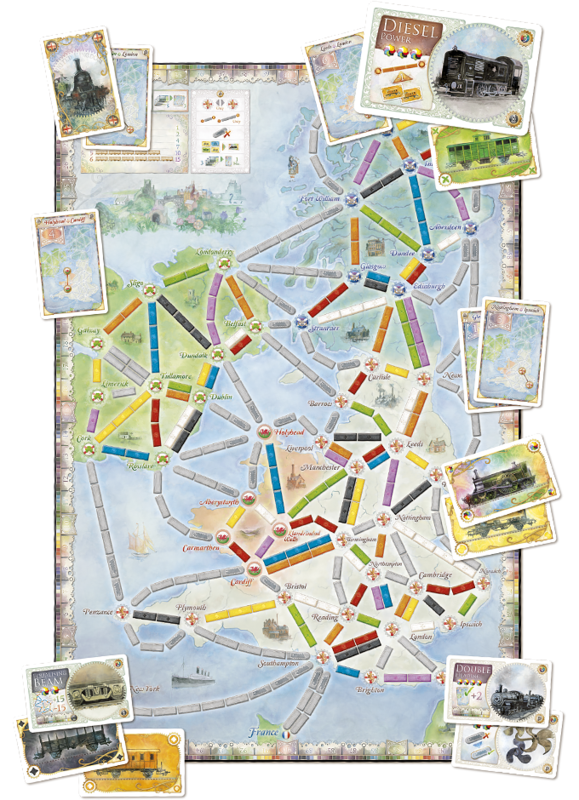 Ticket to Ride United-Kingdom on the other hand changes the basic system more than any other expansion. The limited starting technology forces players to make some early strategic choices, often forcing them to all build in the same area around London, and vying for crucial routes in the north of England. But as the game continues, players can take quite a few different paths to victory, focusing on bonus points, on tickets, on long routes, and more." 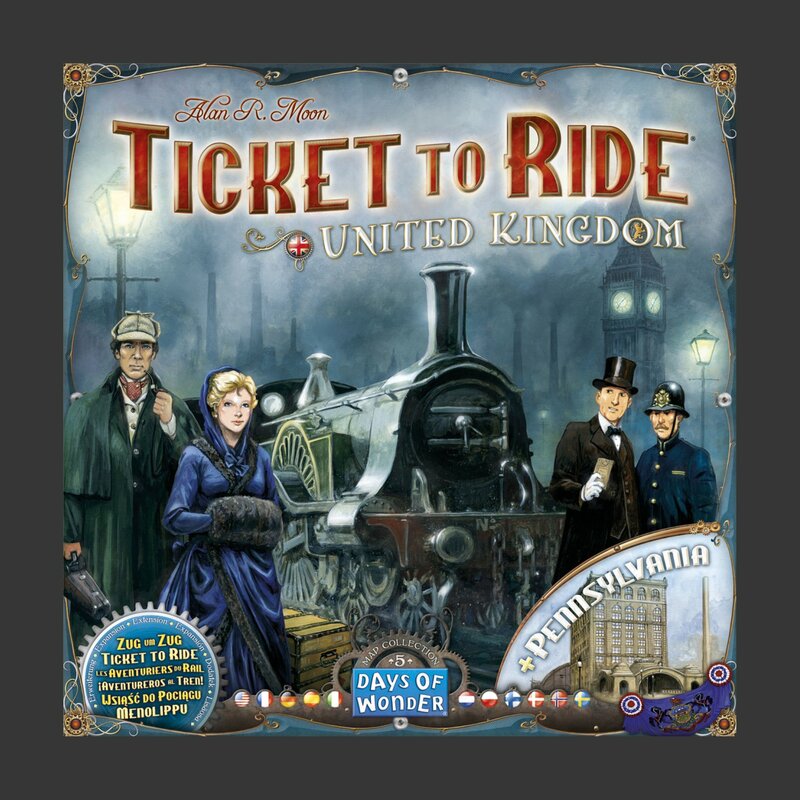 This is an expansion - a Ticket to Ride USA or Europe is required to play!